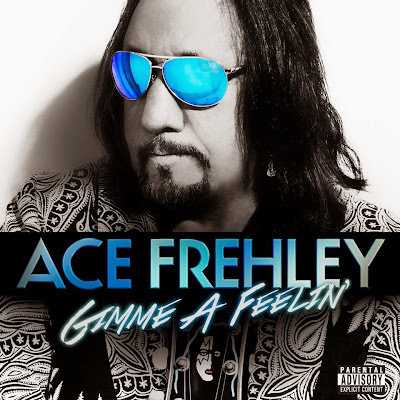 The album includes Ace performing a cover of “The Joker” by The Steve Miller Band. Frehley reteamed wit longtime friend and artist Ken Kelly for the cover; he famously designed the covers for KISS' "Destroyer" (1976) and "Love Gun" (1977) albums. "It was very exciting when I was approached with the idea of doing an album cover for Ace," says Kelly. “I had spoken to Ace on a few occasions about the possibility, so I was delighted when it actually happened. I am very pleased with the results and proud to play a part of Ace's continuing successful career!" "I've been talking with Ken Kelly since 2007 about painting a CD cover for me and it has finally happened!,” adds Frehley. “I couldn't be more excited about the new 'Space Invader' cover, and the music behind it is also going to rock your world!"